What’s happening in the labor market as a whole? 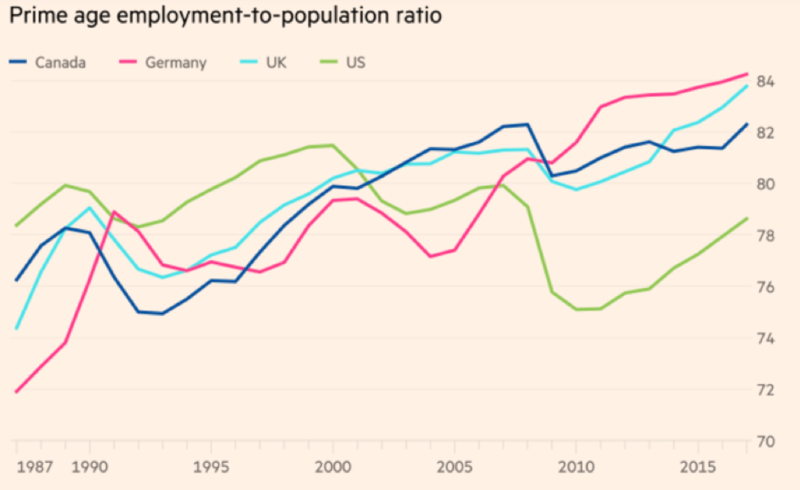 … It’s not clear that the prime employment rate is fully stationary. There’s some suggestive evidence that this may be true, but more research and thinking on this issue is needed. Analysis of the data shows a weak relationship between the unemployment rate and a good measure of wage growth. The prime employment rate has a much stronger relationship and has done a good job predicting wage growth out of the sample it draws from. The relationship is holding up in practice. Economists and analysts may just need to figure out how it works in theory.